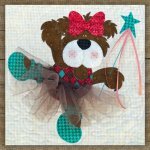 The pattern for the Ballerina Bear is included with the panel. Finished size of the wall hanging is 13 1/2" x 29 1/2". Precut available of the Ballerina Bear HERE. Before you were born... I prayed for you, I dreamed of you, I imagined you. 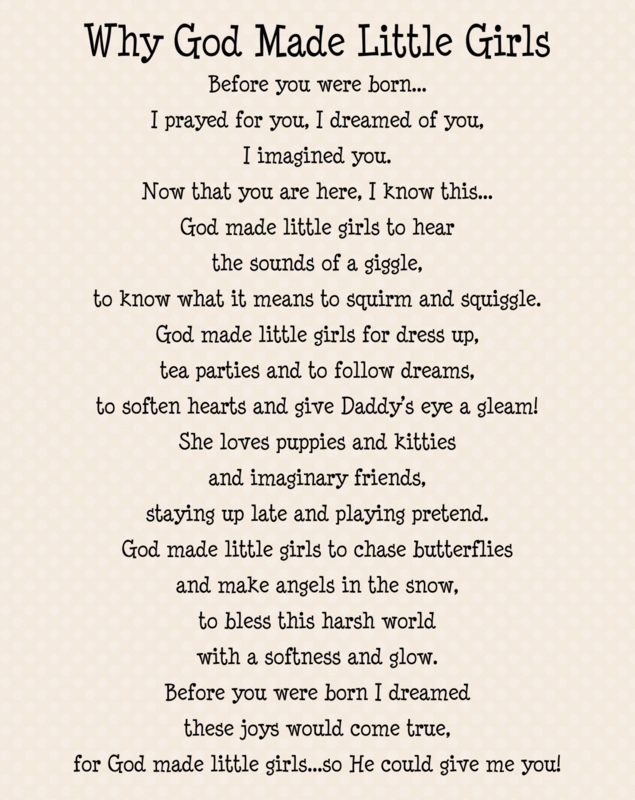 Now that you are here, I know this... God made little girls to hear the sounds of a giggle, to know what it means to squirm and squiggle. God made little girls for dress up, tea parties and to follow dreams, to soften hearts and give Daddy’s eye a gleam! She loves puppies and kitties and imaginary friends, staying up late and playing pretend. God made little girls to chase butterflies and make angels in the snow, to bless this harsh world with a softness and glow. Before you were born I dreamed these joys would come true, for God made little girls...so He could give me you!